The first grace of the Sacrament of Anointing of the Sick is strengthening, peace and courage. 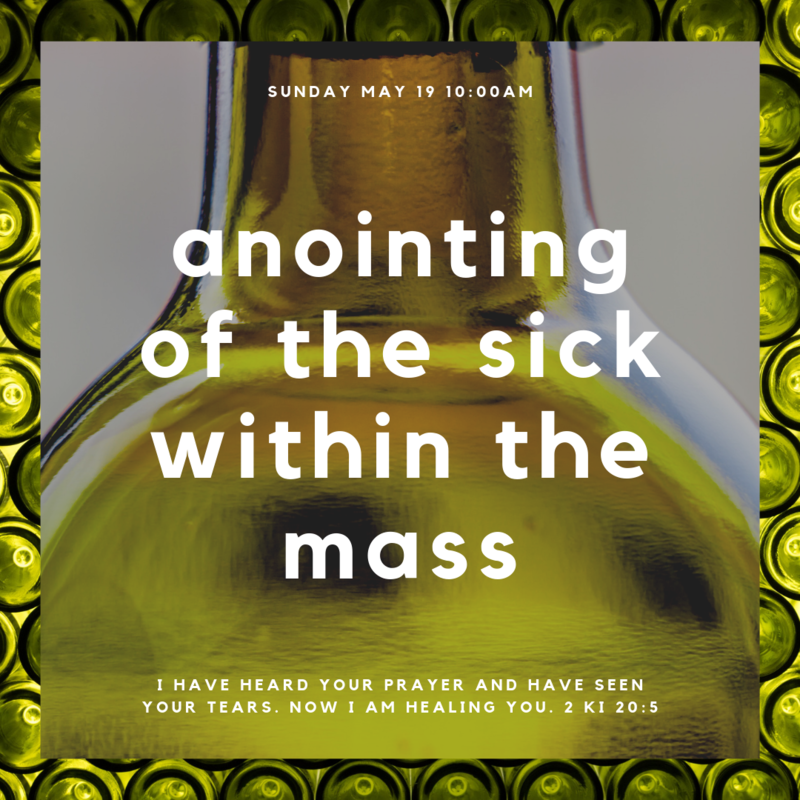 Like all the sacraments the Anointing of the Sick is a liturgical and communal celebration... It is very fitting to celebrate it within the Eucharist, the memorial of the Lord's Passover. CCC 1517, 1520. Registration is not necessary, however it is helpful to reserve seats for those who would like to receive the Sacrament. Please use the registration form on the right.